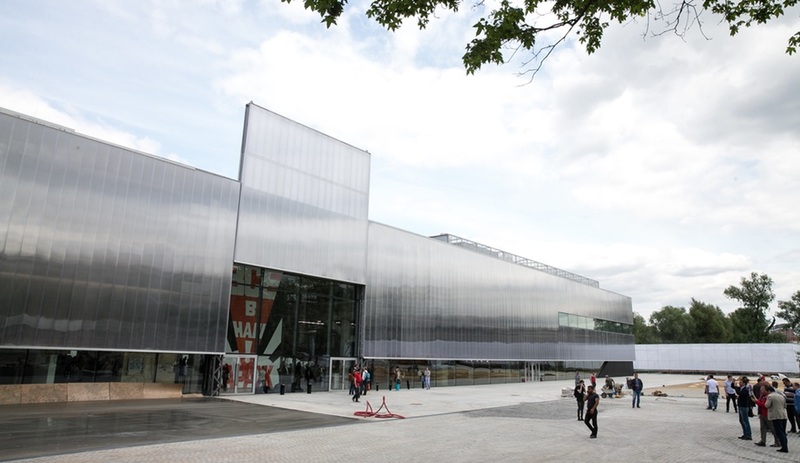 Museums and galleries bring out the best in ambitious architects. 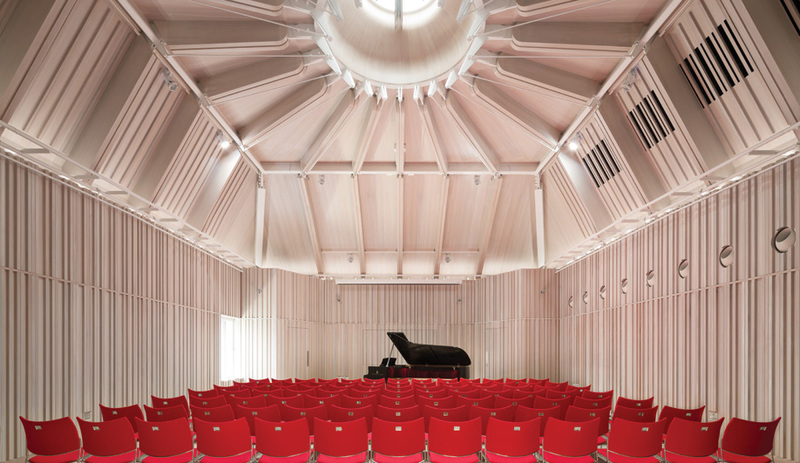 Here are 10 of the best cultural buildings of the year, from Renzo Piano’s Whitney in New York to Pattersons’ Len Lye Centre in New Plymouth, New Zealand. 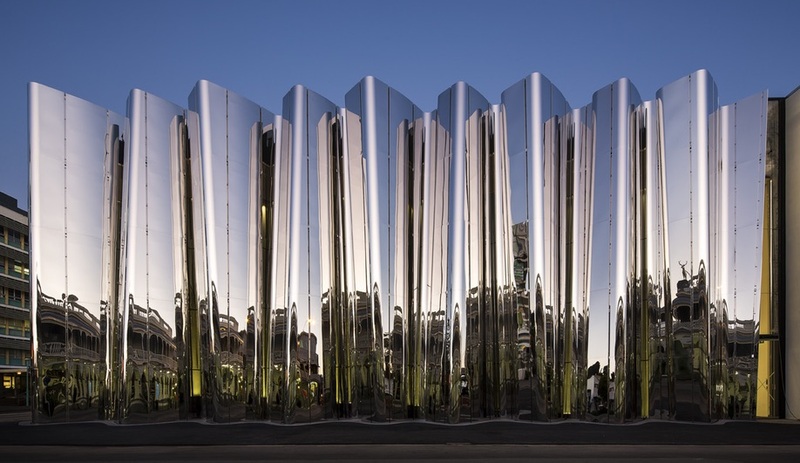 Just two materials define New Zealand’s only dedicated single-artist gallery: concrete and steel. 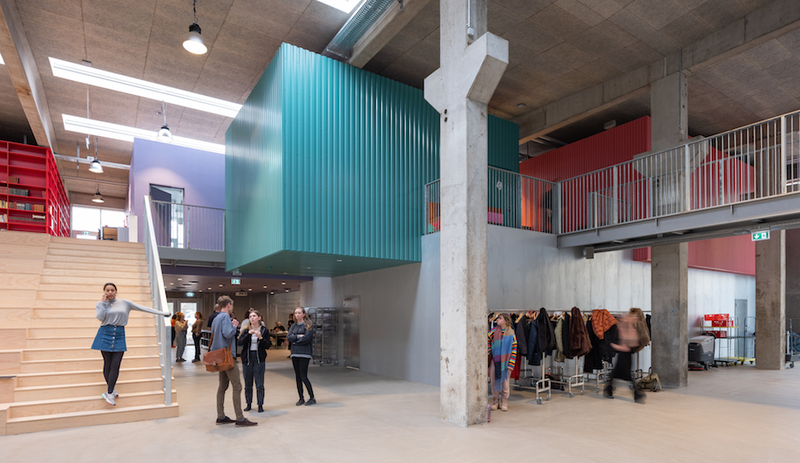 Pattersons’ 3,000-square-metre building, which links an existing gallery and New Plymouth’s commercial district, enfolds exhibition spaces, education studios and a cinema inside towering waves of raw concrete. 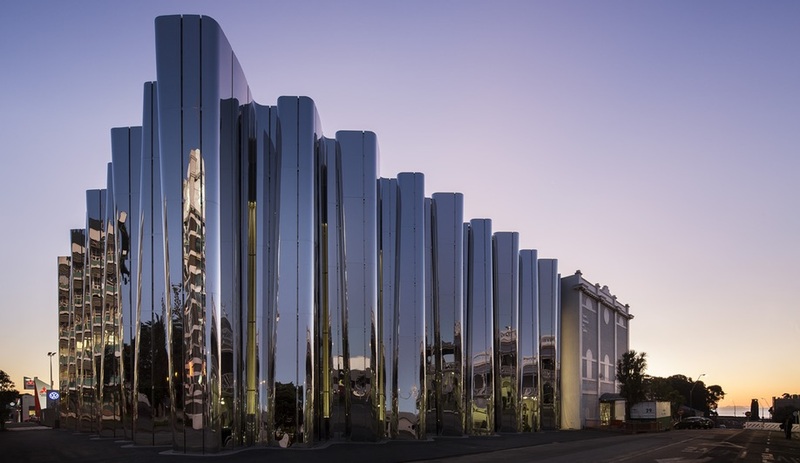 The Len Lye Centre also includes a room dedicated entirely to the motorized works of the eponymous Christchurch artist and filmmaker, best known for his groundbreaking kinetic sculptures. It’s these often playful works that inform the museum’s stunning exterior: its off-kilter facade of mirrored steel sheets seems to undulate like wind-blown grass, or – more to the point – like the waving steel fronds of Lye’s iconic 1961 sculpture Grass. It’s big and it’s bold. 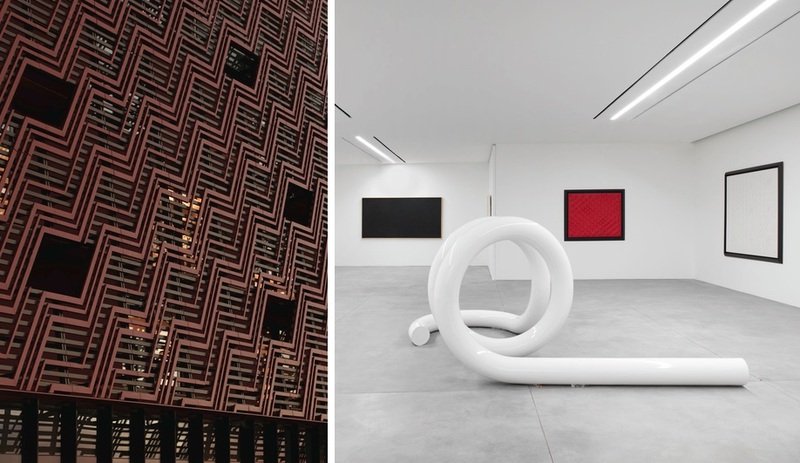 David Adjaye’s vision is a monumental take on a mixed-use space, melding art gallery and retail space, with the two disparate functions expressing their roles in very different ways. 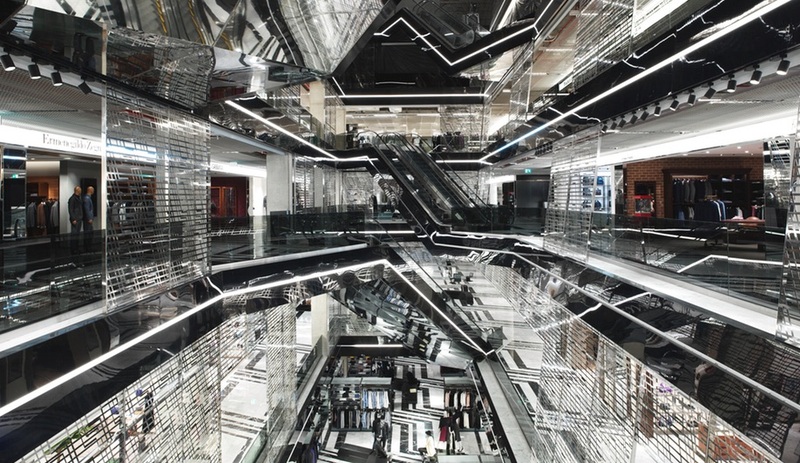 The retail side – a simple block from the exterior – is maximalist inside, suffused with light streaming through a glittering atrium with rows of mirrored steel sliced by horizontal lines of light. Adjaye inverted the effect for the galleries, which house the modern art collection of Lebanese department store magnate Tony Salamé: while the interiors are a minimalist series of blank white cubes, the exterior is wrapped in an exuberant sloping brise-soleil in the same zigzagging motif as the shopping centre’s vivid tiled floors. To further unify the halves into a coherent 17,600-square-metre whole, both sections of the exterior are finished in a deep russet hue. 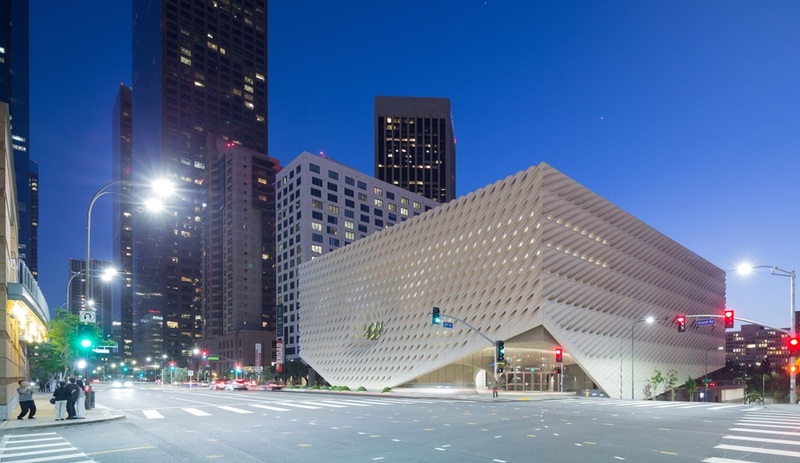 As the gateway that links downtown Los Angeles to an ever-growing string of architectural masterpieces along Grand Avenue (by such titans as Frank Gehry, Arata Isozaki, and Rafael Moneo), the Broad has an important role to fill. But rather than going for flash, DSR kept almost all of the contemporary art museum’s boldest moves internal. 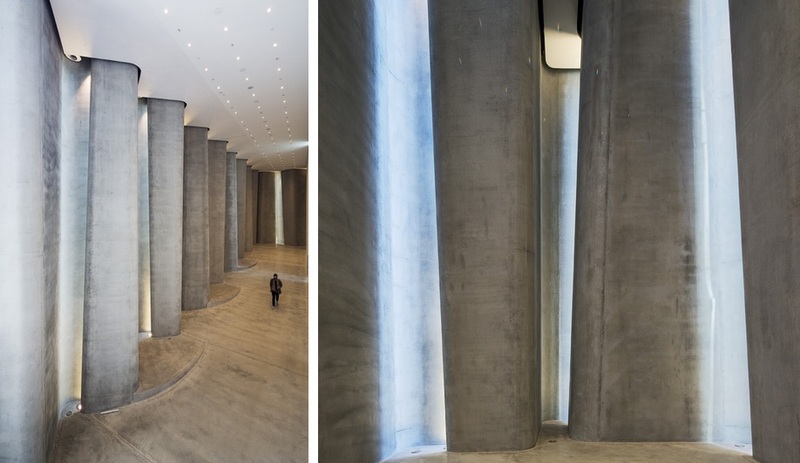 Behind a brittle, porous facade, the interior spaces are defined by a heavy concrete “vault” which swaths the second-floor archives, creating a cave-like ceiling for the ground-level lobby, and the floor place for the topmost storey’s massive column-free exhibition space. 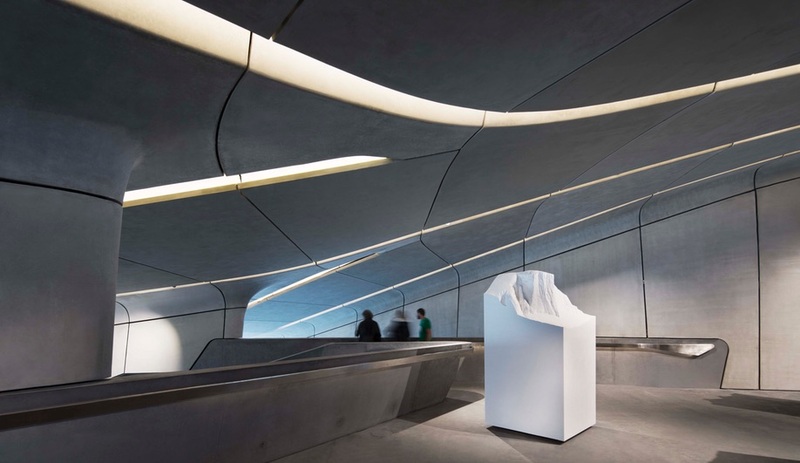 After ascending an escalator from the crypt-like lobby to the light-soaked third floor, visitors can wind their way back down via a circuitous staircase that offers glimpses of the museum’s operations. Western Africa, though seldom visited by Western tourists, can serve as a potent muse for the painters, sculptors, photographers, writers, choreographers, musicians and dancers prepared to make the journey. 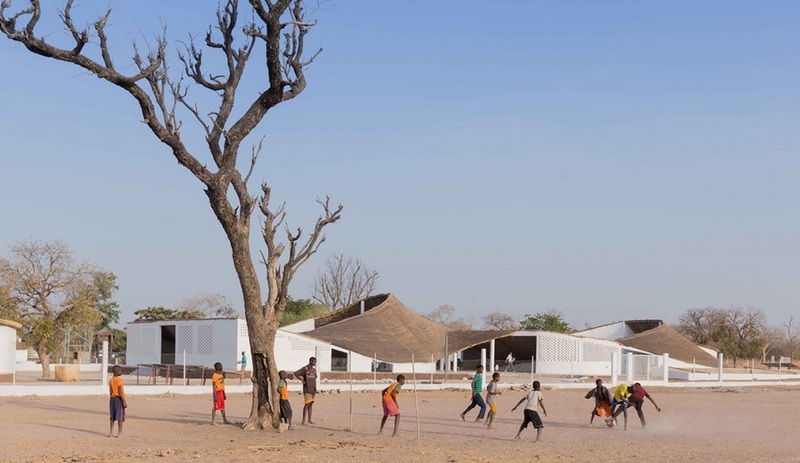 New York’s Toshiko Mori, working pro-bono, designed the THREAD artists’ residence and community centre to welcome such creatives to the village of Sinthian, in southeastern Senegal, with help from the philanthropic Josef and Anni Albers Foundation. 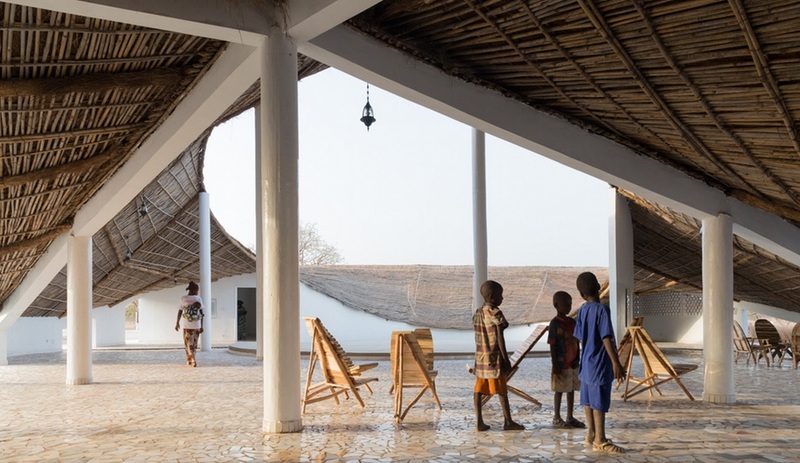 Using local labour, materials and techniques, Mori constructed an elegantly sweeping building of bamboo, brick and thatch, prominently featuring the region’s traditional pitched roof, but with a twist: inverted into a giant funnel, the roof collects enough rainfall to supply roughly 40 per cent of the villagers’ domestic water needs. 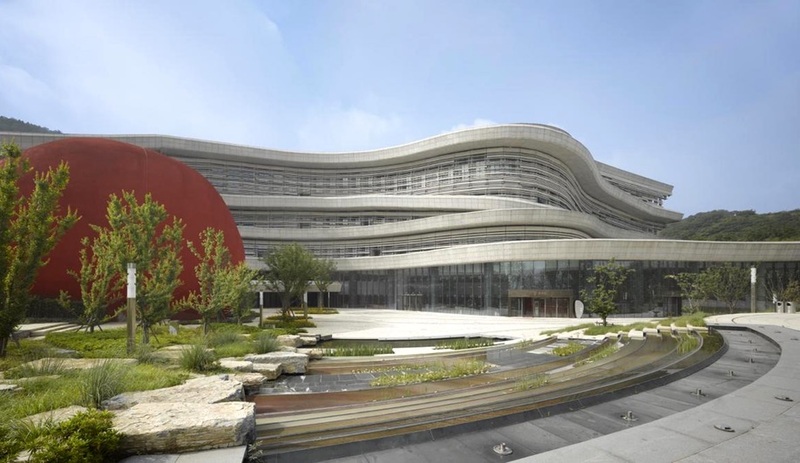 Built on the site of one of the world’s most important archaeological finds – the 1993 discovery of Homo erectus fossils dating back nearly 600,000 years – this sprawling museum in Nanjing follows the slope of its surrounding topography, simultaneously blending in and introducing its own personality. 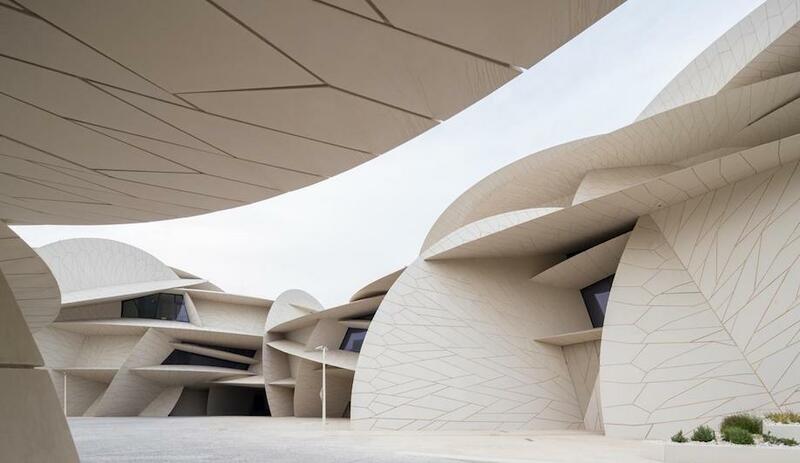 The undulating stone and glass facade contains exhibit spaces devoted to geology and anthropology, with a winding layout that lets visitors explore at their leisure. Design studio Hassell was responsible for the museum’s entrance plaza and surrounding gardens and parklands, whose lines and formations have strong continuity with the building. A Soviet-era prefab concrete pavilion, ravaged by the elements since it was abandoned in the 1990s, may not sound like a suitable home for an art gallery. 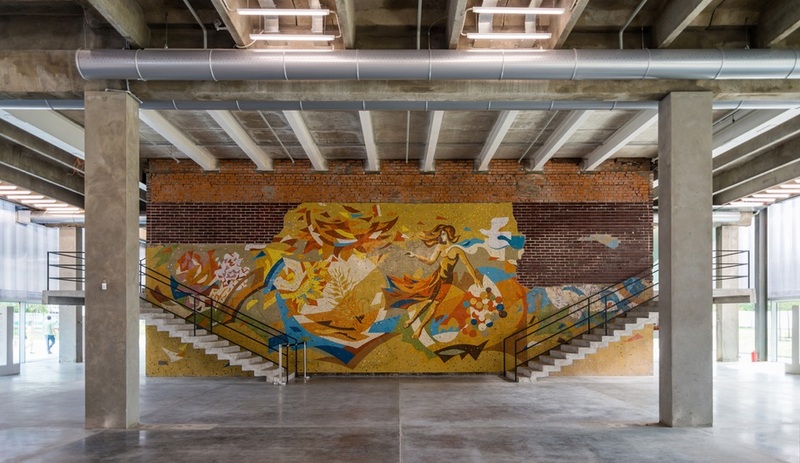 But nostalgia for the building’s heyday (it once served as a popular restaurant overlooking Moscow’s Gorky Park), and priceless details including an original mosaic mural, led OMA to envision the raw space as a fitting backdrop for contemporary art, and a charming alternative to the standard white cube. So, rather than bulldozing the 5,400-square-metre structure, OMA stripped out the decayed bits, reinforced what remained, and capped the entire thing with a massive canopy of translucent polycarbonate panels – including one raised (in a rather garage-like move) to signal the entryway. 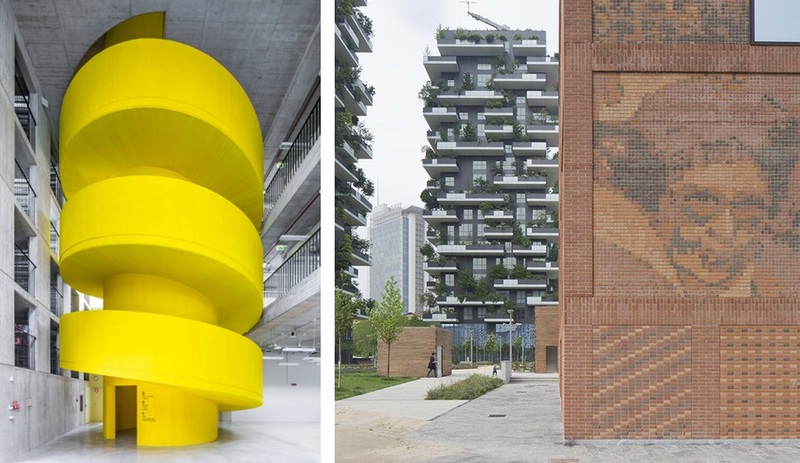 Milan’s Porta Nuova redevelopment is fast coming a showcase of tall-tower architecture – especially Stefano Boeri’s undeniably fun Bosco Verticale, which sports giant balconies filled with full-grown trees. 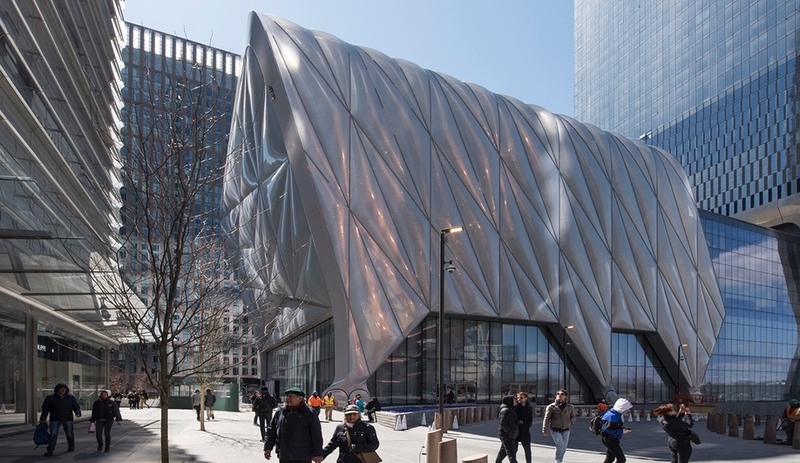 But another building has opened nearby that is impressive in other ways, most notably in demonstrating what can be accomplished with a modest budget. 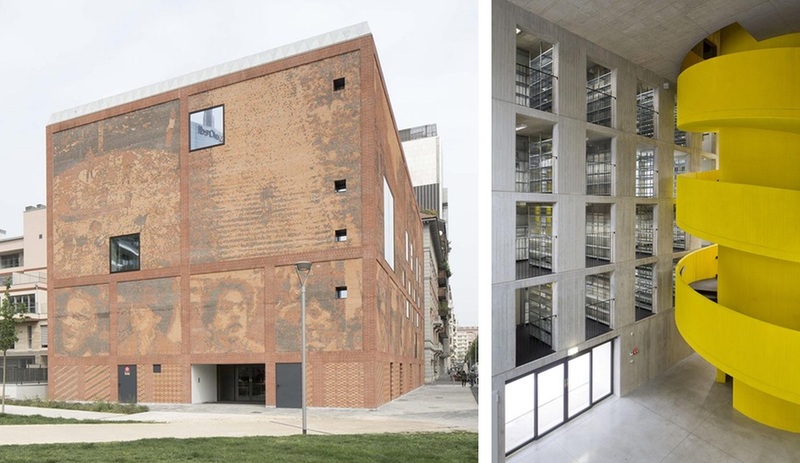 The House of Memory, by local firm Baukuh, serves as headquarters for five cultural associations whose aim is to preserve the memory of Italy’s fight for democracy; inside it contains an archive, an exhibition space and a conference space. 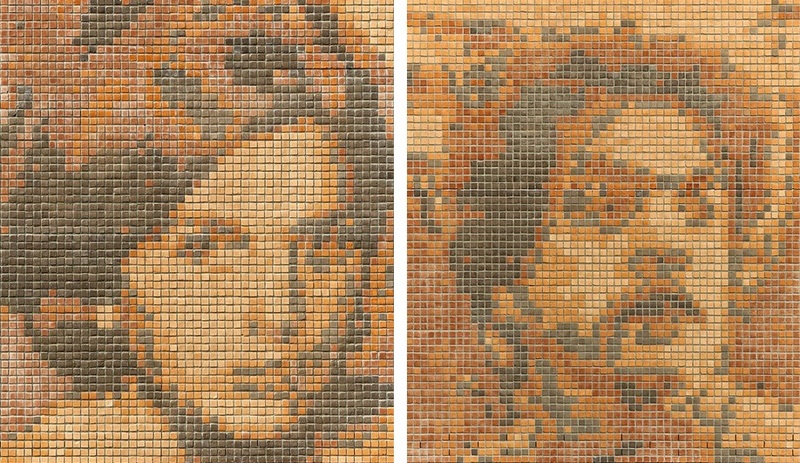 The building expresses itself externally with 19 portraits and a series of landscapes that have been gleaned from the archival holdings, “pixellated” in six shades of clay brick. Small windows are punched out in a hapless-seeming way to break from a more rigid grid. There is no doubt House of Memory’s boxy form and traditional cladding are meant to have a monument-like appearance that harks back to an earlier era. 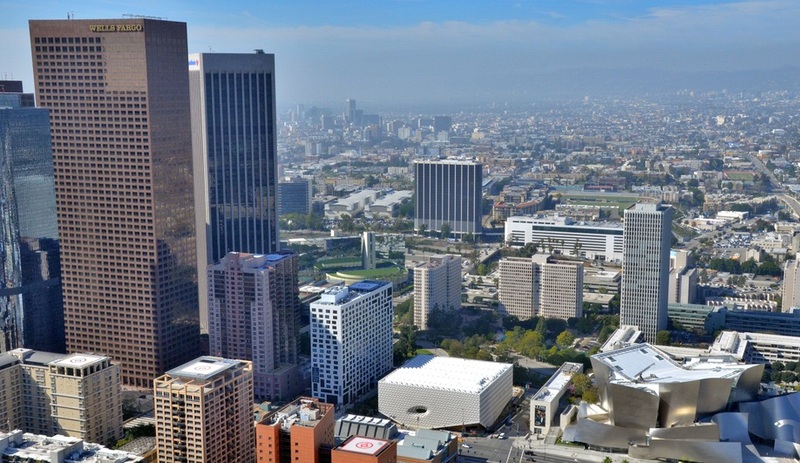 That agelessness is what makes its presence in the new development such a compelling addition, and a stark contrast to the usual glass and steel which has become so synonymous with urban renewal. 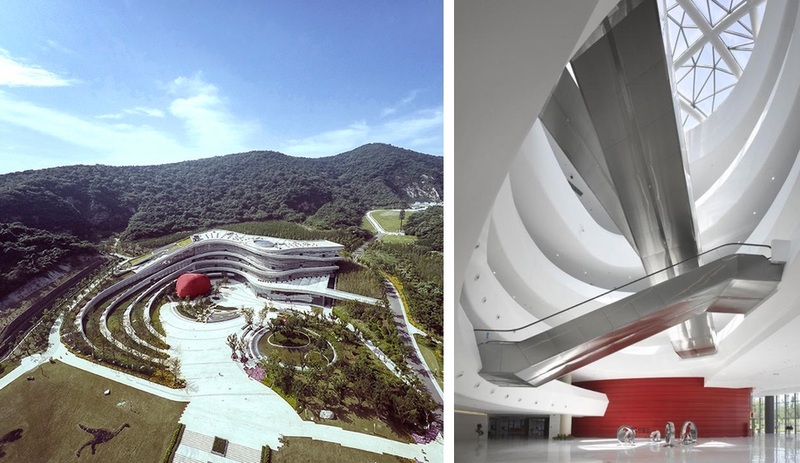 Mountains deserve their own museums, and Britain’s Zaha Hadid – who looms large in the world of architecture herself – is the ideal candidate to build one. 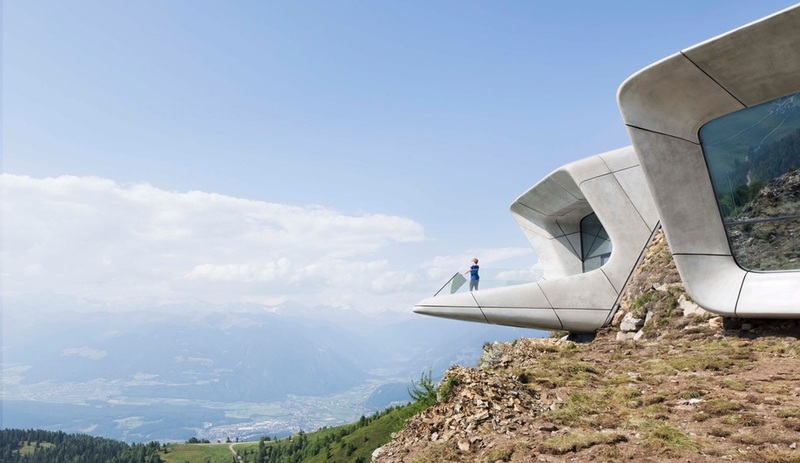 Messner Mountain Museum, completed in July, is situated 2,275 metres above sea level, nested in the summit plateau of the Kronplatz in South Tyrol, Italy. It is the sixth museum to open in the region, each dedicated to Reinhold Messner – a mountaineer who, among other accomplishments, was the first to reach Everest’s peak as a solo climber, without the aid of oxygen tanks. 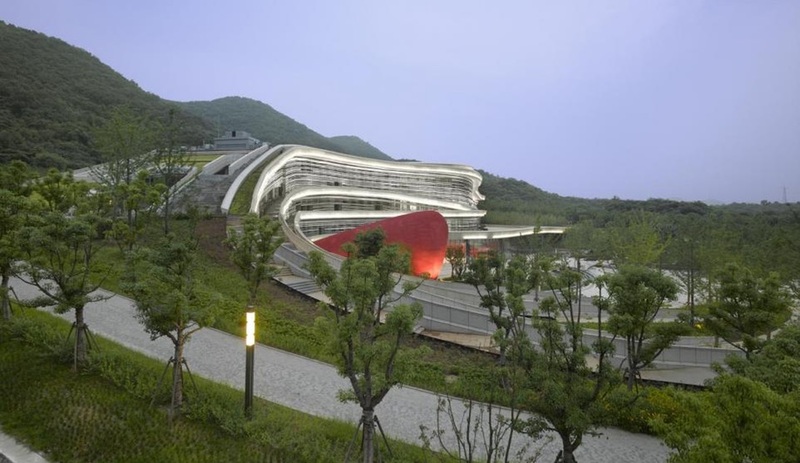 Some 4,000 cubic meters of rock and soil were excavated to make room for the cast-concrete building, which was then packed back into place around the structure to half-bury it into the landscape. The added pressure and weight meant the walls had to be between 40 and 50 centimetres thick. 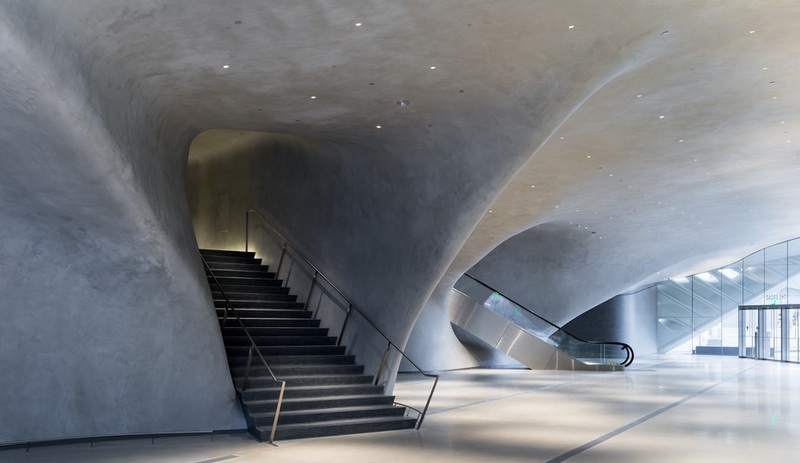 Inside, the sinuous curves ZHA is known for add a grotto-like appearance, with a river-like stairway descending to a subterranean level. Visitors have the option to take in the views from three lookouts: two are behind sheets of glass that reach floor to ceiling; the other is from a glass-railed, knee-shaking balcony that cantilevers six metres off the peak, and offers breathtaking views of the Dolomites and Alps. 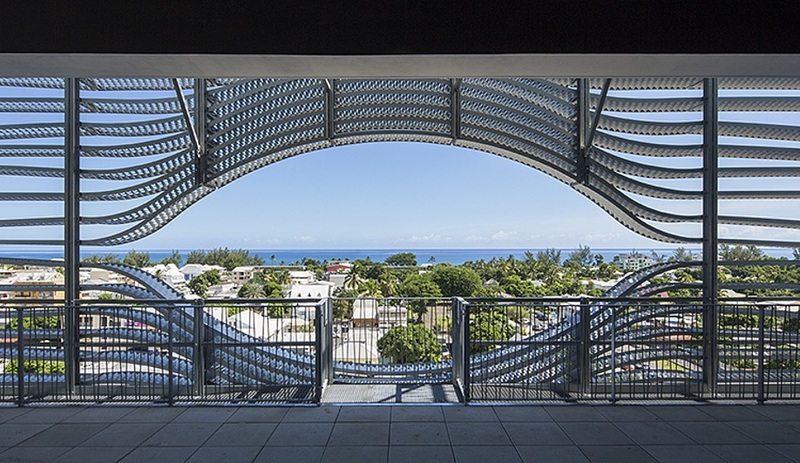 Part of a large-scale urban renewal plan, St. Paul’s Media Library sets a compelling visual and cultural tone for the Reunion Island community. 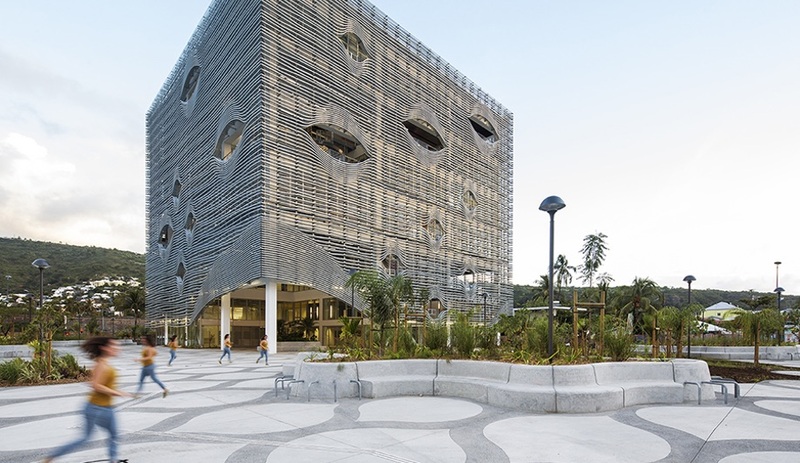 Built to withstand earthquakes and cyclonic winds, the 34-metres-a-side cube rises six storeys, and stands out against the district’s tropical landscape thanks to complex cladding of steel and anodized aluminum pieces, installed on a horizontal plane to emulate the pages of a book. These “pages” also work as a solar shading system by filtering light to keep the interior climate at a comfortable constant. Louvres incorporated in the facade open like eyes to provide natural ventilation and views to the Indian Ocean. 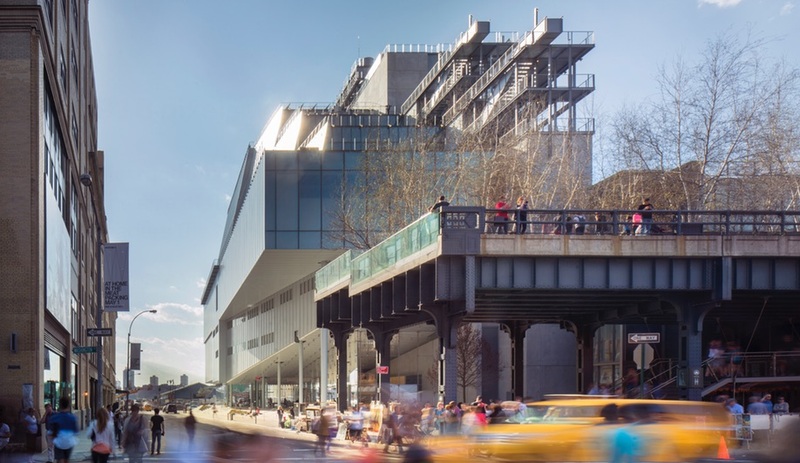 The southern terminus of Manhattan’s High Line has a new attraction – the Whitney Museum of American Art. 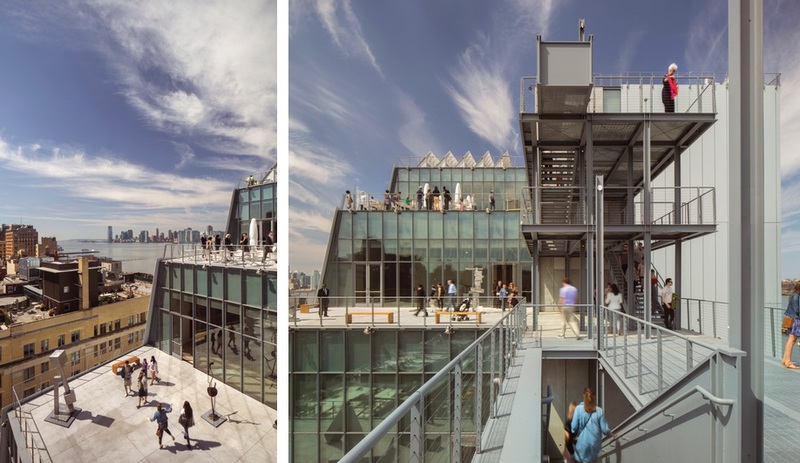 In keeping with the site’s light-rail-and-meatpacking history, Renzo Piano’s squat, eight-storey structure has a decidedly industrial feel, thanks to a metallic facade crisscrossed with factory-like catwalks offering superb views of the city. 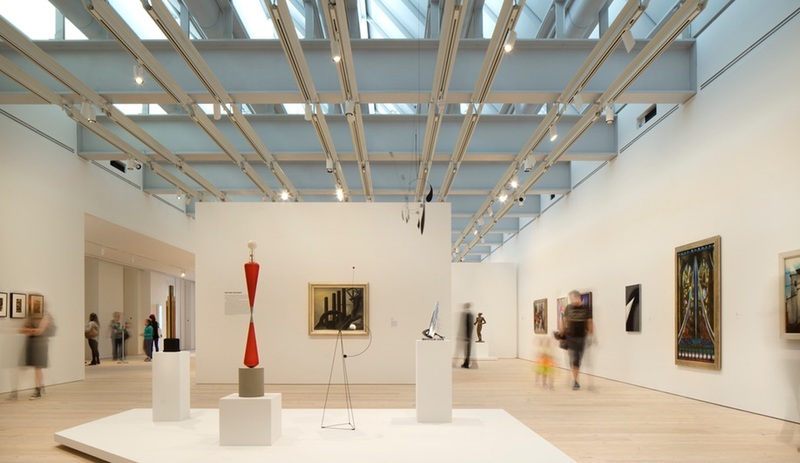 But make no mistake: for all its muscle, the museum is perfectly calibrated to disappear into the dense urban fabric, with a welcoming entryway, a subtly tilted facade that responds humanely to the scale of the surrounding buildings, and an interior of quiet, skylit spaces ideal for displaying large pieces of art.